Srinagar, Feb 7: Fresh snowfall in the Kashmir Valley and rains in plains of Jammu on Thursday adversely affected life across the state with people forced to stay indoors without electricity at many places, road links snapped and flight operation disrupted. The strategic Jammu-Srinagar highway remained closed for a second consecutive day due to the fresh snowfall in Bannihal sector and landslides in Ramsoo-Ramban. Flight operations, too, were suspended at the Srinagar airport due to poor visibility amid heavy snowfall. "All flights to and from Srinagar were cancelled on Wednesday. "No flight could land or take off from the airport today morning," an official at the Srinagar International Airport said. "Our supply is normal in Srinagar city. There have been problems in Bandipora, Ganderbal and other reas due to hiccups in 33 KV transmission lines, but the problem is being addressed. "The staff has been at it even in the midst of heavy snowing this time," Qazi Hashmat, Chief Engineer, maintenance and rural electrification Kashmir told TNN. 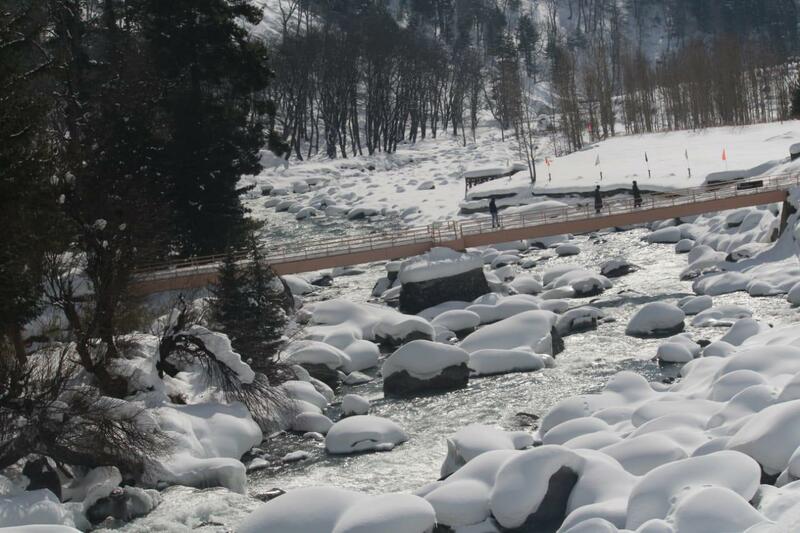 "As the western disturbance persists, widespread snowfall and rain is expected today though there should be signs of improvement later in the evening,"
"Significant improvement is forecast from tomorrow onwards," a Met official said. Jammu was at 9.3, Katra 7, Batote minus 1.6, Bannihal 0.2 and Bhaderwah was at minus 0.4 degrees Celsius.